Sadly, 70% of girls 10+ don’t believe that they’re good enough. But, Shelly Ann Edge intends to do something about that. Through her work with Girls Rock Birmingham, she teaches young women new musical skills and gives them the confidence to perform on stage — as well as what she hopes is the confidence to do so much more. 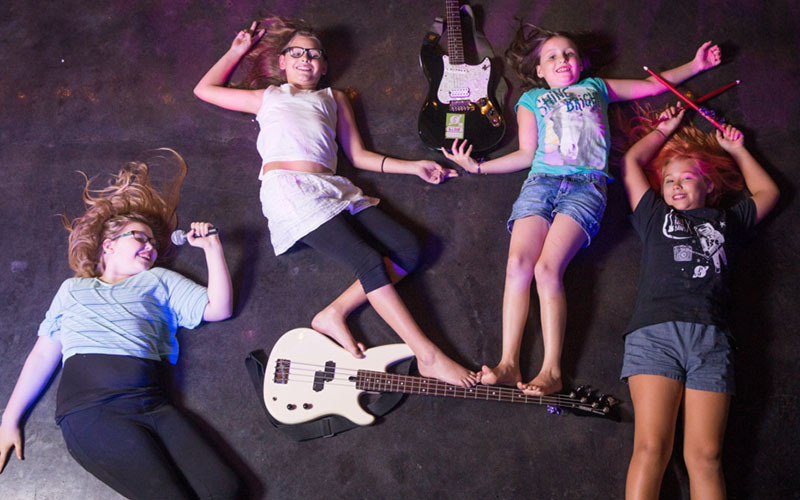 Girls Rock is an international organization, and Birmingham’s rock-star-inspired summer camp helps girls ages 9-16 develop an improved self-image. 1. How would you describe Girls Rock Birmingham? 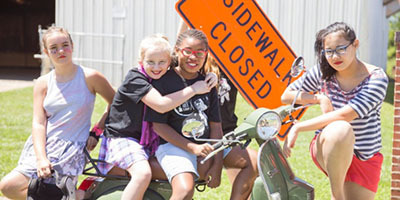 Girls Rock Birmingham is a nonprofit organization that hosts an annual camp for girls ages 9-16. During the week, girls are given instruction in voice as well as one of the following instruments: drums, keyboard, guitar or bass. The campers are placed in age-appropriate bands. Here, they will work together to create a band name, craft an original song, develop stage presence and understand artist promotion. 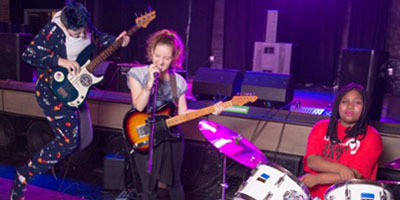 At the end of the week, the individual bands perform in a professional rock star showcase. This allows them to perform with all of their new skills! Our instructors and workshop leaders are professionals in the arts with a wealth of knowledge that we feel helps these young musicians to grow, dream and become inspired. 2. Why is a program like Girls Rock important to have in Birmingham? 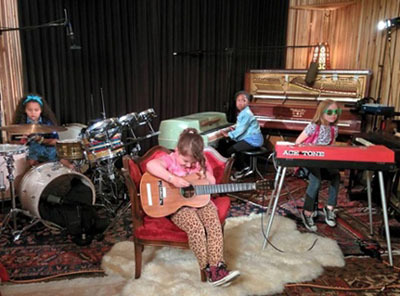 Girls are underrepresented in the music industry. There are no other programs in the area that offer what we offer. Our campers get to work with the very best musicians around. Our unique workshops build and promote healthy self-esteem. Unfortunately, statistics say that 70% of girls 10 years old and above do not believe that they are good enough. Girls Rock Birmingham provides girls with a creative outlet and helps them feel great about themselves! 3. Where did the idea for Girls Rock Birmingham originate? My co-founder, Lindsey Shante, participated in Girls Rock Jacksonville in Florida, and when she moved home to Birmingham, she wanted to bring Girls Rock to our city. 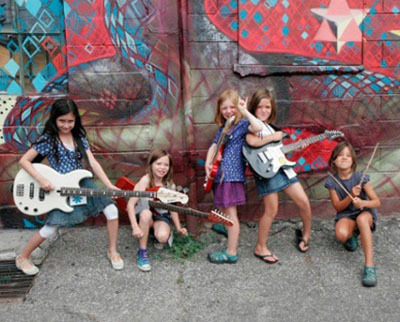 Girls Rock is an international organization that brings music education to girls all over the world. 4. How did you become involved with Girls Rock Birmingham? Lindsey approached me with the idea for Girls Rock Birmingham in 2014. 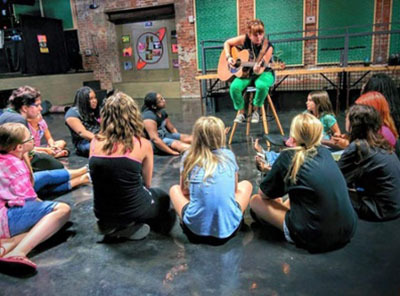 I had never heard of Girls Rock, but was excited to help put together a Girls Rock Camp in our city. Lindsey asked me to work with her, and I was eager to do so. I signed on as the Assistant Director in 2014, and this year I have assumed the position of Executive Director. 5. How do you feel Girls Rock impacts Birmingham? has helped to foster community among the creative women in our city. Our campers all become best friends by the end of the week, and the same can be said of our volunteers. Friendships and lifelong relationships are made at camp, and the deep connections created cannot be understated. I do not know of any other organization in our city that was bringing female musicians together in quite this way, and I personally am very thankful for the incredible women I have met who I can now call my friends. 6. How can people get involved? We are always seeking volunteers! We need volunteers of all backgrounds — no musical experience is necessary. If you are willing to work with our organization, we can find a place for you, and a way to use your skill set, whatever that may be. We invite everyone to check out our website. There, you can learn more about us and fill out our volunteer form. You can donate on our website and help make this wonderful opportunity available to even more girls. We are also seeking donations of instruments and gear. We need: guitars, basses, amps, keyboards, drums, mics, mic stands, cables, drumsticks and picks. You can bring your new or gently used instruments and gear to any of our events.